Drama, dance, sing. Becoming a triple Threat. Deciding to train for a musical theatre career rather than just as a dancer is, a very wise decision. The industry has, over the last thirty years become much more competitive and it is now more important than ever to be a TRIPLE THREAT. 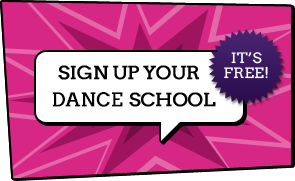 Dancing classes should include the fundamentals such as ballet, tap, jazz and contemporary dance. Add to this some street and you will be pretty well prepared.Ballet training is usually started from a young age however, if like me, you didn’t get on with it straight away you can, catch up, though you may never have the flexibility of those who started at a young age! The other styles can be added along the way and usually are offered at performing Art Schools. Though you will find some part time performing Arts schools only do a general dance class whilst other schools are much more specific.With so many resources available you can teach yourself different styles like hip hop and street from the many dance DVD’s available.Singing is another essential string to your bow. The sooner you start the quicker your confidence will grow. Singing lessons are usually available at part time performing Arts schools on a one to one basis or in a group. The great thing about singing in a group is that you will learn to do harmonies, which will be of great use to you in your musical theatre career. Learning to sing and to read music will take time but if you want to audition for a full time musical theatre course you are going to need a strong trained voice. Acting classes also run as part of the performing Arts schools programme, in a typical drama class you will learn to build confidence, learn to build a character, sight read, work with scripts and enjoy devising your own work.My tip would be to read as many plays as possible if you are planning on a career in the Arts, being familiar with different playwrights is a great advantage when choosing monologues for auditions. So get reading.Choosing which Drama schools, performing Arts Schools to audition for will depend on what schools offer on their Musical Theatre courses. Remember you do want a showcase at the end, and you do want a school that offers frequent performances where industry professionals visit in the final year of training.Research well and look at their graduate list, see which school will offer you the perfect spring board.If you are unable to commit to full time further education due to financial strain, you could spend your time taking as many classes as possible in London, or one of the major cities.